We hope you had as you had as groovy as a time as we did here in the Movie Gallery with last week’s Stanley Mouse Limited Edition Grateful Dead Lithograph Giveaway. 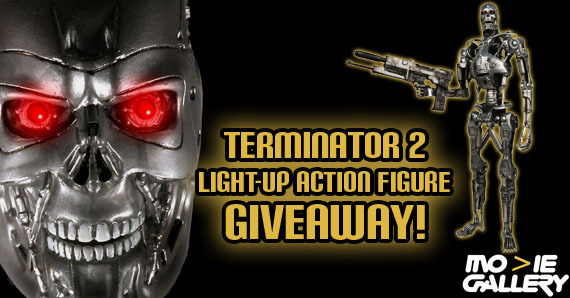 We are excited to announce the prize for this week’s giveaway: an 18″ Terminator 2 Endoskeleton Action Figure with Light-Up Eyes! Flash forward to the year 2030. The machines have risen in an attempt to wipe out humanity. 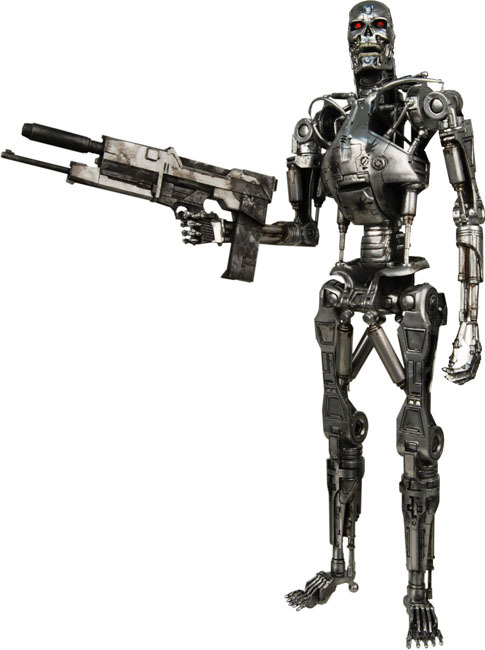 On the front lines for the enemy are the model T-800s, brutal cybernetic killing machines designed to look humanoid. One is captured by resistance leader John Connor and sent back in time to 1994 to protect his younger incarnation against mechanized assassins sent from the future! Continue on to learn how you can win! 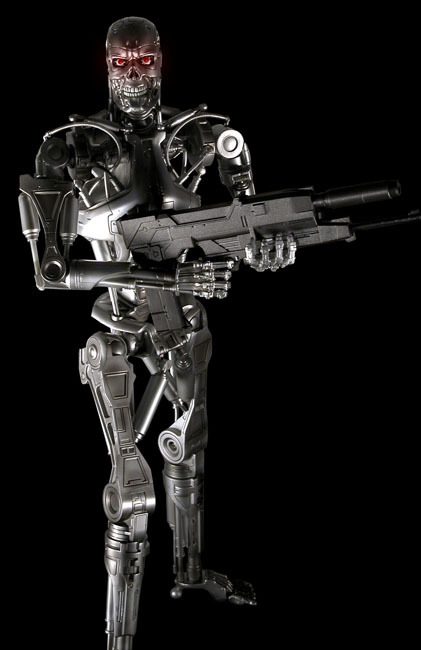 This 18″ figure is a special tribute to the chilling T-800 Endoskeleton (AKA a skinless Arnold Schwarzenegger) from Terminator 2. The incredibly realistic sculpt is fully articulated for great poses, with an unbelievable level of detail — just take a look at the working pistons! Push a button to activate his glowing red eyes (button cell batteries included). Figure comes with interchangeable hands and futuristic rifle accessory. This entry was posted in Contests & Giveaways and tagged giveaways, terminator, terminator 2 by mgadmin. Bookmark the permalink.